Our firm takes a proactive stance on family law matters. We prepare each case in the strongest way possible - as if it's going to trial - giving us a competitive edge over lawyers who are only interested in settling. Overwhelmed by the thought of having to deal with lawyers? LA Divorce Lawyer Galen Gentry can help. His 25 years of experience practicing law in Southern California will be on your side throughout the course of your divorce case. Unlike other firms who may see you as just another paycheck, he will apply personal attention and keep constant contact with you throughout your case. Everything we do is geared toward obtaining the best result for our client. Are you struggling to make time to address your marital problems? Are you frustrated trying to figure out what your rights are in a custody situation? Let an experienced divorce attorney help. Going through a divorce is unpleasant and always influences all aspects of a person’s life. Educate yourself about the process and the steps involved, and then contact an attorney. Courts have discretion in deciding with whom children will live, but they are guided by two crucial factors: maintaining the status quo and continuing contact with both parents for minor children. It’s generally better to resolve family law matters collaboratively. However, if you anticipate a dispute over support or any other matter that will require a trial, work with a skilled attorney. In addition to problems between spouses who own a business together, there can be problems for third parties involved. These can have complex and long-lasting effects on the business. Many people know California is a community property state and that the parties share equally in the community property, but they do not understand the ramifications. Learn more from our team. Galen covers all aspects of family law - from divorces and child custody cases to restraining orders. He understands that going through a divorce is usually unpleasant and influences all aspects of a person’s life. It's importance can never be underestimated. If you have anything worth preserving you should educate yourself about the process. When you have questions, you need an attorney who will return your phone calls promptly. While most family cases settle, some go to trial. An experienced attorney who has handled complex factual disputes is required. Many divorce attorneys have never gone to trial (or have never tried a case) and will not be prepared if your case requires a trial. Galen takes the time to understand your needs and your goals. With over 25 years of experience, Galen knows when to negotiate, knows what is a fair settlement and knows when it is necessary to take your case to trial to ensure the best outcome. We called Galen for the free consultation, and he was filled with tons of information. I actually felt bad after a while, and apologized for taking up his time. Two days later I e-mailed him a few questions, and he promptly answered all questions. This was all without retaining his services. He essentially assisted us with all we needed if we decided to retain an attorney, or not. While I didn't use Galen during my initial divorce proceedings (I wish I had! ), he helped me with some post-modifications and was awesome. He was very quick to return calls and emails and give clear and helpful advice. If I need to revisit anything divorce-related in the future I will be giving him a call. Recommended! Mr. Gentry is an excellent lawyer. He assisted my parents with a dispute with a neighbor. He returned all their calls and emails quickly. He explained all their legal options clearly and they were very happy with their outcome. We will be requesting his assistance in the future if need be. Galen was informative and considerate, unselfishly giving his time and vast knowledge. We are located out of state and needed lots of information to continue on with our dispute. He was attentive and responded quickly. Mr. Gentry met me without charging a consultation fee, which is generous when many attorneys do charge hundreds of dollars. he was informative and concise. Mr. Gentry is definitely an honest attorney, and he advised me without regard to whether or not he would profit. Galen provides personal services and promptly answers all emails & telephone calls. He explains everything in terms you can understand and walks you through the entire process. He is professional, knowledgeable, sincere and understands how emotional and stressful the legal process can be. If I had to define Mr. Galen Gentry in one word, it would be EFFICIENT. Yes, I have worked with Mr. Galen Gentry in many different cases. For my business and private matter. Every single time he handles my cases with professional efficacy. I have recommended my lawyer, Galen Gentry, to every of my clients and friends. I recently needed assistance with Trademark issue, I discovered Galen Gentry on Facebook. He contacted me and gave me tremendous advice and also offered me additional resources in the meantime. When the opportunity to register our trademark occurs, we will be using Galen Gentry. Struggling to make time to address your marital problems? 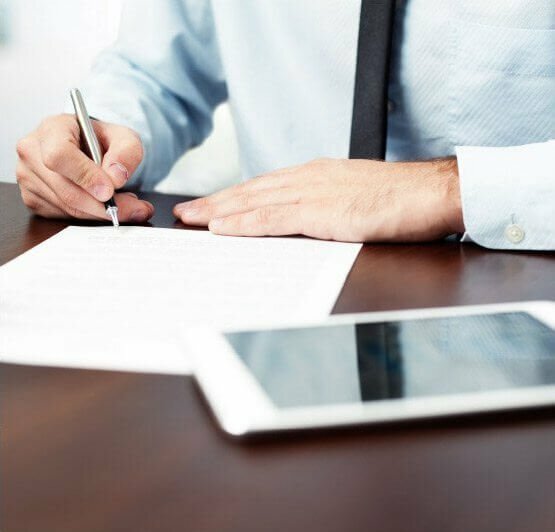 Our firm has negotiated cases related to divorce, family law, child custody, alimony, child support, businesses and divorce, valuation, property division, paternity, restraining orders, and more. When your case impacts your entire family, rely on our team’s experience to be an asset for you. No one wants to be taken advantage of. Unfortunately, this can often be the case in family law matters. Your case may be against an ex-spouse (someone you once loved), and it may involve your children (the most important people in your life). You need experienced divorce lawyers to understand your needs and represent your interests. We sympathize with our clients. Competent representation is the first step to minimizing the stress that can result from a family law case. At the same time, we are objective and analytical in our approach. Our unbiased perspective will aid you as you weigh all the factors in deciding which path is right for you and your family. You may not be sure how a divorce can affect your income, your children, or your business. Don’t wait to get the answers. Our team has a reputation for being highly accessible to our clients, and when you call, you'll speak directly to Attorney Galen Gentry. Contact our law firm today. How Is the Amount of Child Support Determined in Los Angeles And How Is Child Support Awarded? Child support is based on a complex calculation that takes into consideration the parents’ incomes, how much time each parent spends with the child, and any tax deductions that are available to either parent. This formula is applied whenever the support of a minor child is to be determined, including in dissolutions (divorces), paternity, and domestic partnership cases.